Project BriefClicIncorporation commissioned us to design and build a simple and user friendly website to facilitate entrepreneurs to incorporate their new or existing company. 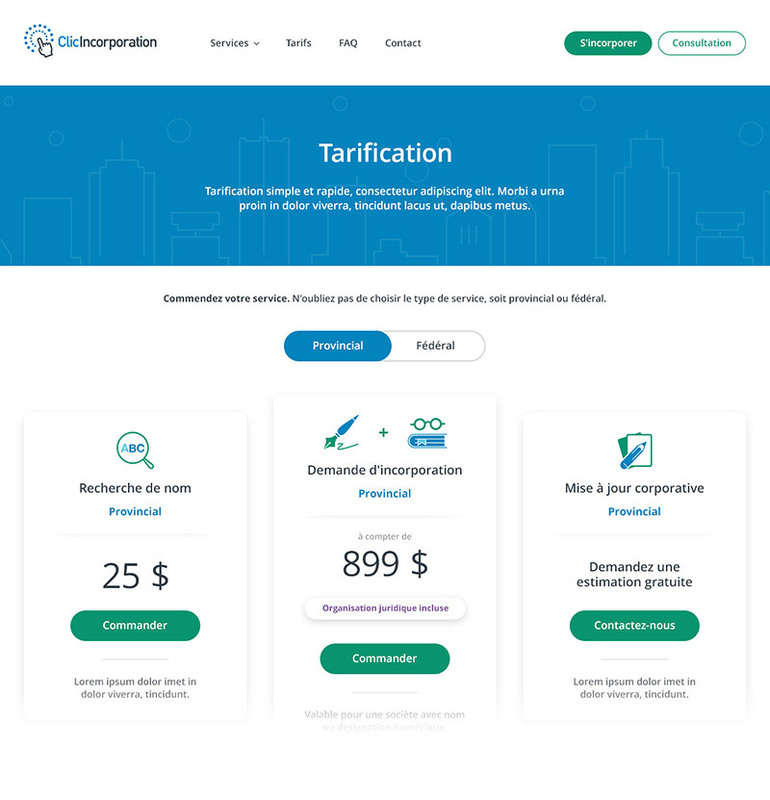 The main goals were to become a trusted online business incorporation service in Canada and motivate entrepreneurs to use other legal services such as creation of lease documents, work contracts, distribution contracts, and the like. We've simplified the online business incorporation process and legal services for new and existing Canadian entrepreneurs. Your business success is one click away. We've got an approval in the first round of designs. One of the best things that can happen during the design process is that we get a green light from the client without delays. Thanks to accurately interpret the client's vision, business goals and user necessities. Playing around the click and register concept. We started the logo design based on the name of the company as the main concept. Each logo variation illustrates "one click away from being in business". Genuine colours with a vibrant touch. For this particular project we have opted mainly for a blue colour palette and a touch of red, representing the French and English cultures present in Canada. 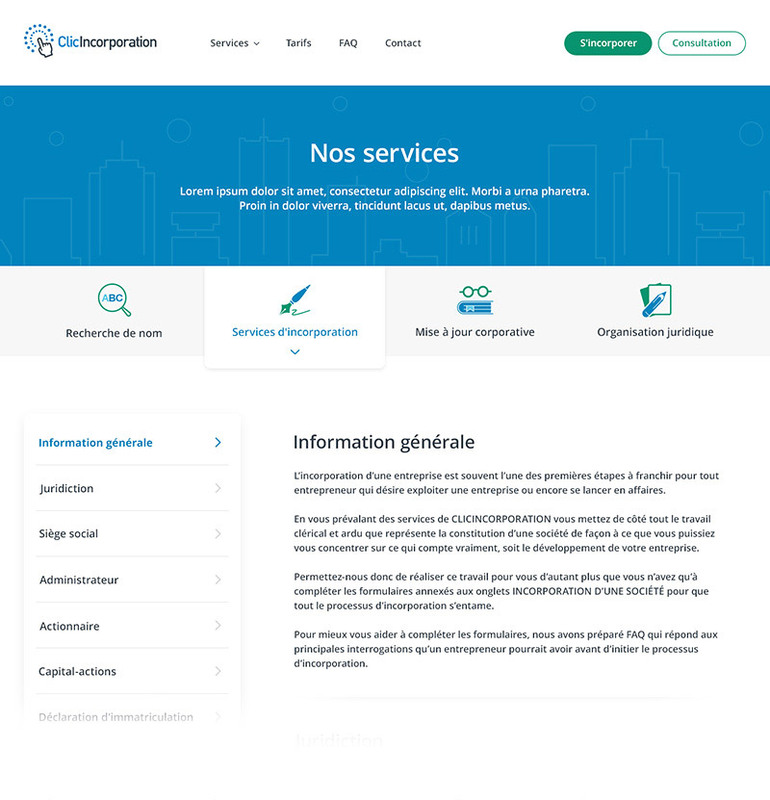 Nevertheless, we also added two more accent colours to trigger a mix of enthusiasm and seriousness throughout the online incorporation process. Furthermore, some of the remaining designs. 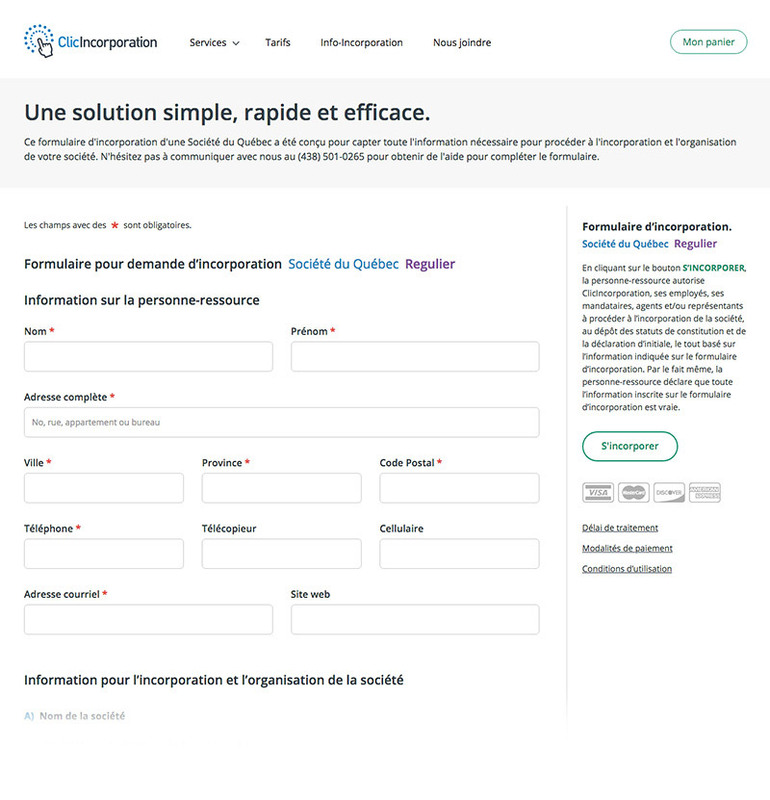 Dynamic icons used throughout the ClicIncorporation website. I had the privilege to work with Dezea for the creation of my website, ClicIncorporation. Throughout the process, Dezea's team was very dedicated to making sure that the website would meet my demands. They were able to understand my needs and were very patient and caution about the specificity that I wanted for my website. They have very good skills and great knowledge of the different tools related to the creation of a website. For Dezea, there is never a problem, there is always a solution. In fact, Dezea's team will not hesitate to make the proper research and test to ensure the functionality of the website. I strongly recommend Dezea for the creation of your website.